Every week, a dozen or so Smith students share their passion for computer science and coding with local middle and high school girls. Their goal: inspire a new generation to pursue careers in STEM fields. "There needs to be more diversity in computer science," says Syeda Zainab Aqdan Rizvi ’18. The Stories in the Stones at MacLeish Field Station ‘About a First-Year’ Episode 5: Halfway There Is This Alumna the Mother of Modern Nutrition? Geosciences professor John Brady has made a life’s work of deciphering the stories that rocks have to tell about the world. 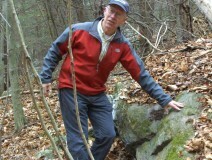 Watch as he shares the fascinating story of the Connecticut River Valley, as illustrated by the rocks at Smith's MacLeish Field Station. The video series “About a First-Year” follows three first-year Smith students. In episode five, Aditi, Gwen and Adrianna are halfway through their first year at Smith. Each starts the spring semester with something a little different on her mind. 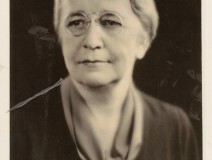 Helen Woodard Atwater 1897 was a pioneer in nutrition, conducting innovative research on natural sweeteners and helping to shape federal nutrition policy. So why isn't she better known? Twenty-some years ago, when Linda McCuen survived a massive stroke that left her in a wheelchair, her daughter compiled a bucket list for her. At the top of that list was meeting Gloria Steinem ’56. McCuen, who lives in Peabody, Mass., happily crossed that off her list when Steinem was on campus last week. Fellowships, publications and academic honor society posts are among the recent accomplishments of Smith students, faculty, staff and alumnae. Read about them in the latest People News column. Is there a young woman in your family who is just beginning her college search? If so, the Office of Admission would like to invite you both to attend "Smith Connection: An Inside Look at College Admissions." Smith's team of admission professionals will share strategies for successfully navigating the college admission process. Sign up now for this special on-campus workshop on Friday, June 24. The cost is $50 per family and includes lunch.